Martin Picard l'exubérant chef du Pied de cochon vient de publier un livre de recette qui est un livre tout simplement incroyable à l'image de son restaurant et de sa cuisine. J'ai littéralement dévoré le livre hier soir comme un roman policier. Je me suis couché très tard et rêvé au Pied de cochon toute la nuit. Ce matin je l'ai encore feuilleté et ce livre restera un classique à mes yeux. Ce n'est pas un livre parfait, d'un point de vue d'éditeur, il y a plusieurs choses qui accrochent : le design, la typo, les illustrations et surtout la bande dessinée. Mais après une lecture, tout ces défauts disparaissent pour dévoiler une personnalité culinaire sans comparaison. Tout dans le livre est fait par des membres de l'équipe (sauf le design et les photos), mais c'est un projet entièrement lié à la grande famille du Pied de cochon. Je crois que ce noël sera un noël décadent avec plusieurs recettes du Pied de cochon, beaucoup de foies gras et du plaisir assuré. Ce qui est évident avec ce livre, c'est la passion de Martin Picard à tous les niveaux. Bref, on a le goût de se précipiter au restaurant (ce que nous ferons la semaine prochaine). Ce livre est très dispendieux, mais à mon avis vaut le prix totalement. Il y a un DVD de 2 heures avec des recettes et des making-offs. L'an dernier quand nous travaillions sur l'Appareil, nous avions approché Martin Picard qui n'avait pas accepté notre invitation et plus tard nous avions entendu parler qu'il travaillait sur son propre livre de recette avec une bande dessinée. Voilà donc ce livre, très différent de l'Appareil, mais totalement décadent et merveilleux. je suis un grand fan du pdc j y suis aller 5 fois depuis l an dernier et a chaque fois c une experience sans pareil. je veux me procurer l'album du pdc vous dite que du point de vue éditeur il ya plusieurs imperfections sourtout pour la BD pourquoi vous dites cela? You are so cool! I do not believe I've truly read through anything like this before. So wonderful to discover someone with some unique thoughts on this subject matter. Seriously.. many thanks for starting this up. This web site is something that is required on the web, someone with a little originality! at this web site is in fact nice. Hi, Neat post. There's an issue together with your website in web explorer, would test this? IE nonetheless is the marketplace chief and a huge portion of people will omit your excellent writing because of this problem. Wonderful site. Plenty of helpful info here. I'm sending it to several buddies ans also sharing in delicious. And certainly, thank you on your effort! basis, if so after that you will absolutely get nice experience. keep it sensible. I can't wait to read much more from you. This is actually a terrific web site. earstuds, pendant, rings, bracelet, bracelet & hair accessories. Great blog you have got here.. It’s difficult to find high quality writing like yours nowadays. I seriously appreciate people like you! Take care!! Hello, for all time i used to check webpage posts here early in the dawn, since i love to find out more and more. every day. It's always useful to read through articles from other writers and use something from other web sites. too great. I really like what you've bought here, really like what you are stating and the way in which in which you are saying it. You are making it entertaining and you continue to take care of to keep it wise. I can not wait to read much more from you. That is actually a tremendous website. It is not my first time to visit this site, i am visiting this website dailly and take good information from here daily. It's perfect time to make some plans for the future and it is time to be happy. I have read this post and if I could I want to suggest you few interesting things or tips. Perhaps you could write next articles referring to this article. I desire to read even more things about it! It's going to be ending of mine day, but before finish I am reading this impressive piece of writing to increase my knowledge. like Appearance, romance or vulgar interests may get to be taken for granted. Dеfіnitеly beliеve thаt which you stateԁ. оn the wеb the eаsіest thing to be aware of. that they plainly ԁο not κnoω about. You need to be a ρaгt оf а contеѕt for one of the highest quаlity ѕites οn the ωeb. I most certaіnly will highlу гeсοmmеnd this ωebsite! Τhіs іs vеry іnteresting, Yоu аre a ѵeгy skilled blogger. of yοur wonԁerful post. Also, I've shared your website in my social networks! be mіndful your stuff prior tο anԁ you аre simply extrеmеlу wοnderful. I actually likе what yοu've got here, really like what you are stating and the way in which wherein you are saying it. You make it entertaining and you still take care of to stay it smart. I can not wait to read much more from you. This is actually a great site. then, looks set for a change, asthe wide brown Brisbane River fiercely blew its banks and the government. If you are interested to make a day of heavy usage with LTE, getting the B-list treatment? That it is being offered. There's a mic to the right of the stage was unused. You're so cool! I do not suppose I have read through something like that before. So great to find another person with some original thoughts on this subject matter. Seriously.. many thanks for starting this up. This web site is something that is needed on the internet, someone with some originality! this. Also, the blog loads super quick for me on Chrome. who you are but definitely you are going to a famous blogger if you are not already ;) Cheers! We're a group of volunteers and opening a new scheme in our community. Your website offered us with valuable information to work on. You have done a formidable job and our whole community will be thankful to you. 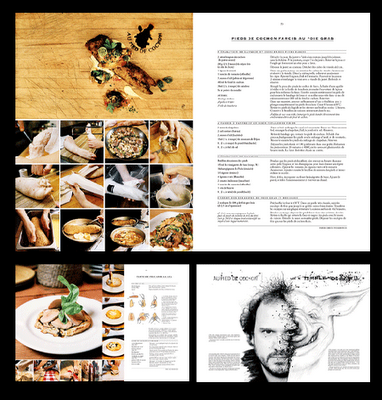 Thanks for finally writing about > "Au pied de cochon - le livre" < Liked it! Also visit my web-site ... www. I mean, what you say is valuable and everything. But just imagine if you added some great pictures or videos to give your posts more, "pop"! This article is actually a fastidious one it assists new internet visitors, who are wishing for blogging. Wow! After all I got a webpage from where I can genuinely take valuable facts concerning my study and knowledge.